Provides connection for network/CAT5/CAT5E/CAT6 cable and coax cable to the same wall jack. Screws included. Mount to standard wall outlet box. The CE Tech Surface Mounting Box is used mount low voltage wall plates at a desired location in applications where a general purpose or multi-purpose box is required. It is ideal for wall mounting or mounting on modular furniture. Some general purpose or multi-purpose low-voltage applications for the mounting box may include: Internet access, home theatre, surround sound, cable TV, satellite TV, DVR and receiver. 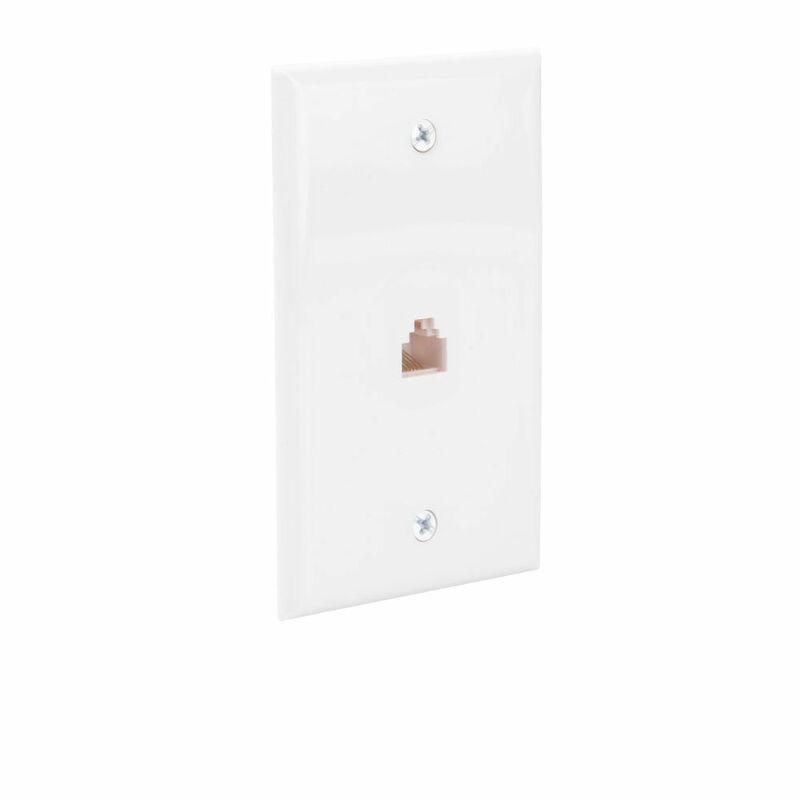 Ethernet Wall Plate Provides connection for network/CAT5/CAT5E/CAT6 cable and coax cable to the same wall jack. Screws included. Mount to standard wall outlet box. Ethernet Wall Plate is rated 3.8 out of 5 by 24. Rated 2 out of 5 by Jarrett from This Ethernet plate only supports Cat5 speeds(100 mbps), and is... This Ethernet plate only supports Cat5 speeds(100 mbps), and is not useful for a gigabit network. Rated 5 out of 5 by Joseph from The connecting plates did exactly as the were designed to... The connecting plates did exactly as the were designed to do and work great!! Rated 5 out of 5 by HomeDepotCustomer from nice and sturdy. Had to reroute my internet cables from one room to another. needed a good solid ... nice and sturdy. Had to reroute my internet cables from one room to another. needed a good solid connection plate and this worked fine. Rated 5 out of 5 by Dan from Just what I needed. Just what I needed. Rated 4 out of 5 by Edgar from Simple wall plate. Secured to the wall using drywall anchors instead of a box, much easier. Only ... Simple wall plate. Secured to the wall using drywall anchors instead of a box, much easier. Only complaint is how the terminals make installing and securing the individual wires a bit of a hassle. It's just the design. Instructions included were clear, but still not recommended for the average DIYer.